Colombia's government and the Revolutionary Armed Forces of Colombia - known by its Spanish initials, FARC - are taking another major step toward reaching a peace deal. Negotiators say they've successfully finished talks on how to address the needs of 6 million victims of the half-century conflict. This includes reparations and the rebuilding of infrastructure in communities which have been most damaged by fighting. After Monday's announcement, the biggest issue that is not yet settled is how members of will demobilize. 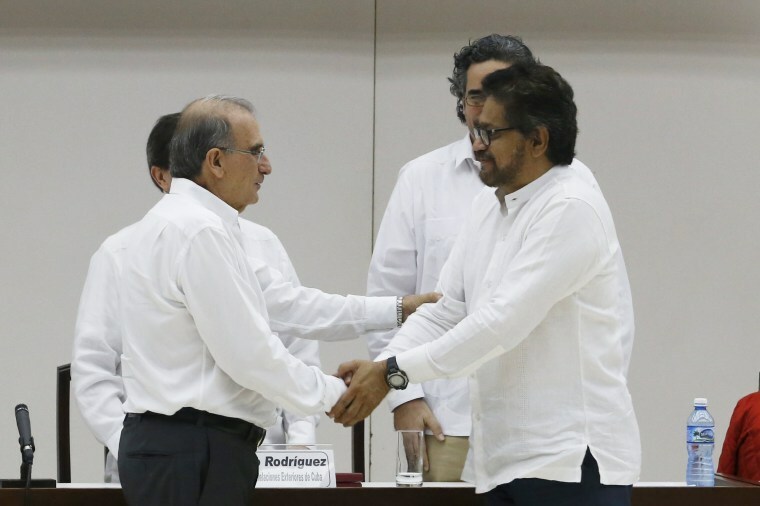 Since September, the momentum to conclude the 3-year talks has been building when President Juan Manuel Santos and FARC leader Rodrigo Londono announced an agreement on how to punish rebels who confess war crimes. Details of that accord were also unveiled Tuesday.